Dr. Vera Howe graduated from Azusa Pacific University in 1994 with a BA in Biology, and received her Doctor Of Optometry (OD) degree from the Illinois College of Optometry in 1999. She completed a Residency in Cornea and Contact Lens at the Illinois College of Optometry and Wesley Jessen. 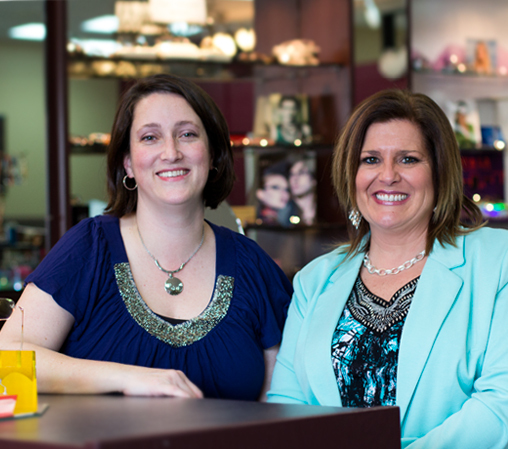 She has worked as an optometrist in Cedar Rapids since 2001. Through her work experience, she gained an appreciation of quality customer service and learned how to treat patients like family and make them feel comfortable while getting an eye exam. Vera and her husband Darrin live in Marion where they are raising three children. She enjoys cooking, reading, being a Taekwondo mom, traveling, and time spent with family. Optix Eye Design started in 2007 when friends Joan Kick and Vera Howe recognized a common shared interest for helping people see better, look better and feel better about their vision. Joan comes from a background of working with frame and lens manufacturers for a large eyeglasses business. She has developed relationships with vendors of frames and lenses that provide the widest range of eyeglass options in the area.